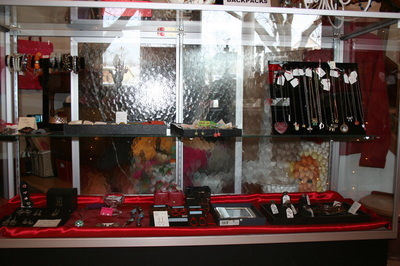 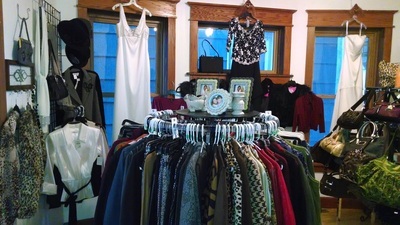 The front room displays much art and jewelry. 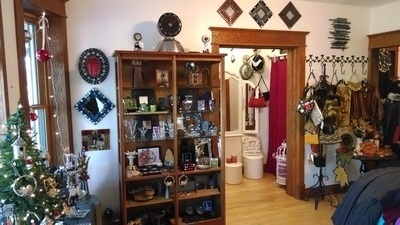 Displayed prominently are handmade recycled clocks from a local artist. 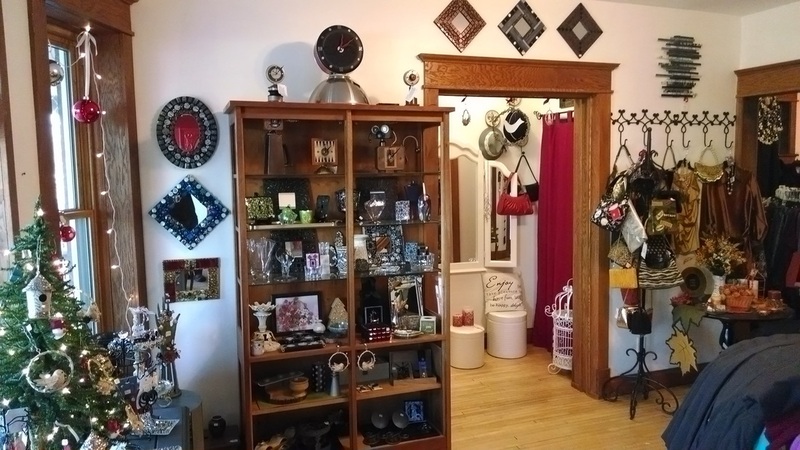 Handmade stained glass mirrors and outlet covers, jewelry from local artists, pottery and wall décor are also for sale in the front room.